At our recent week at Finca Buenvino, in the Sierra National Park, Andalucia, we were joined by established British artist and dear friend, Jan Irvine. Jan spent the days sketching and painting the surroundings, wildlife and characters of the house, and had a lovely time doing so, too! As in writing, I think everyone should be encouraged to practise their artistic skills without competition or judgement, so the idea was to inspire us to do the same – in whichever form we chose. 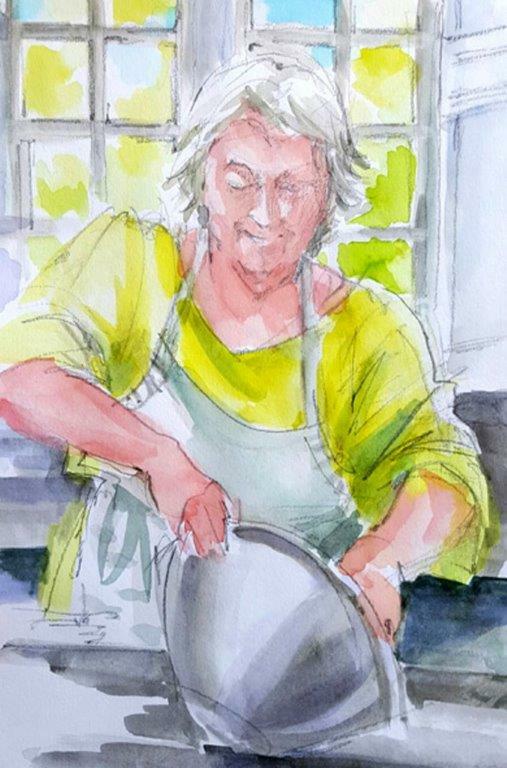 Jan uses brush, pencil and charcoal to capture expressive movement in her art, while I stuck to my journal – writing, drawing, doodling, sticking in flowers, receipts and postcards. Anything and everything can be part of recording life's journey, as long as you're keeping note and writing it down! Jan will be back next year too, with dates to be confirmed. You can visit Jan's website here. 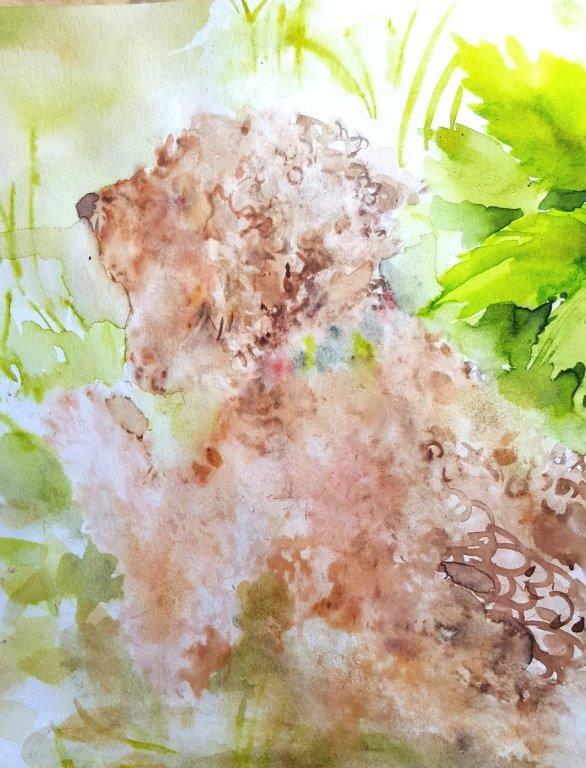 Take a look at some of Jan's sketches and paintings below – click on them to make them bigger.